Anderson .Paak has been the go-to guy to feature when artists have wanted their tracks to have a certain something special. His voice is a malleable instrument than can be gravelly or velvety smooth, able to deliver fast-paced raps and pour out soul syrup in equal measure. Though his debut, Venice, drew plenty of attention and acclaim, he’s now been lifted up into the upper echelon of R&B artists working today, thanks to a series of high-profile collaborations with Dr. Dre on his comeback album, Compton, on which Anderson .Paak consistently threatened to steal the show on his six tracks. He takes that opportunity and knocks it out of the park with Malibu, a gorgeous psychedelic swirl of lush neo-soul backdrops and alternative hip-hop tracks, featuring a cadre of high-profile guest apperances (Talib Kweli, ScHoolboy Q, The Game). Tracks like “The Birds” evoke the classic soul stylings of a Marvin Gaye or Al Green. Yet he keeps things current on the jazz-inflected hip hop of a track like “Heart Don’t Stand a Chance” or thumping banger “Come Down,” keeping in line with the likes of Flying Lotus and Kendrick Lamar. 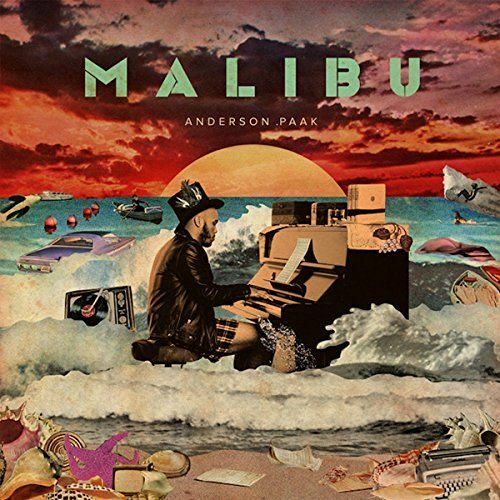 As the lines further blur between the experimental and mainstream, vintage and current within hip hop, Malibu masterfully strings these styles together for an accessible, highly listenable album that should make Anderson .Paak a deserved star in his own right. 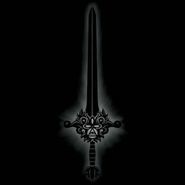 Nostalgic, fantastical synths do battle on synthwave duo Magic Sword’s debut. Like The Neverending Story soundtrack reimagined for a festival setting, its songs like “The Beginning” feature analog synth blasts and huge beat drops in equal measure. Volume 1 is far from mere festival bait, though, as tracks like the slow and ominous “Reflection” reveal the band has done its homework, referencing new age progenitors like Tangerine Dream and Brian Eno. You can’t help but see a film like Drive play out before your eyes with Volume 1 on, and the effect has to be deliberate. Take the track “Kill Them All,” for instance: “they came in the night … they killed everyone,” a young female voice utters. Cool, evocative and a lot of fun. 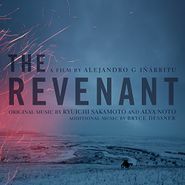 Ryuichi Sakamoto and Alva Noto match Alejandro Gonzalez Inarritu’s harrowing film with an appropriately spare and dramatic score. Strings pulse in hard and fade out to leave gaps of silence, summoning the great expanse of the harsh wilderness endured in the film. Synth drones mesmerize and drum up feelings of alienation. Frantically plucked strings heighten the tension, making the hair on the back of your neck stand. The National’s Bryce Dessner contributes the intense track “Imagining Buffalo” as performed by Berlin’s s t a r g a z e and Andre de Ridder. It’s a haunting score that, like the film, makes few concessions toward comfort.